Little Blue Tower ~ Welcome, fellow Traveler. 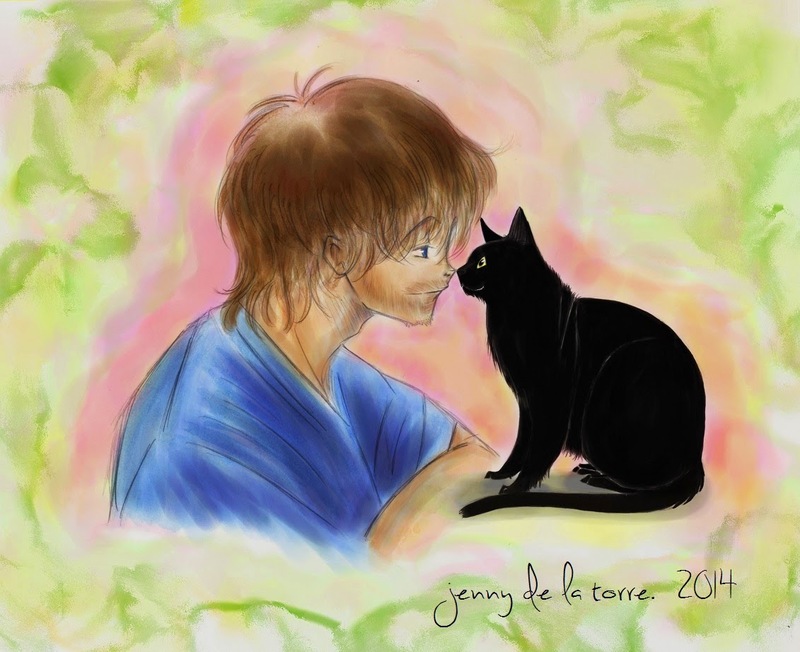 Wander into the art of *Jennifer De La Torre*: "My best friend is my cat"
Yup, title pretty much sums that up. Here's a pic of Norman Reedus, and his gorgeous cat, Eye in the Dark!